Green retailing is taking root in North America in the form of stores that offer merchandise that is more earth friendly, through the use of reused, recycled, organic and sustainable materials. Many mass retailers are jumping on the green bandwagon as well, by selling more green products and trying to limit the environmental impact of their entire business and retail stores. Whole Food Market's consideration for the earth and the environment is woven into the fiber of the company, with the mission of selling natural and organic food that comes straight from the land, Whole Foods has been leading the green revolution since it began. 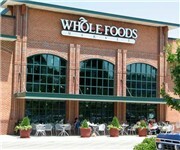 Whole Foods Market is a grocery store of "natural" and organic foods and products, including produce, seafood, grocery, meat and poultry, bakery, cheese, whole body and household products. Whole Foods Market only sells products that meet its self-imposed quality standards for being natural and organic. Fresh & Easy's focus is to be an extremely green grocer while still being cost competitive to traditional stores. To accomplish this, Fresh & Easy incorporates many elements of green building design in its stores by becoming LEED certified. Fresh & Easy focuses on local, organic, and natural food products that is comparable to Whole Foods. By using many local suppliers, Fresh & Easy ensures that its supply chain's impact on the environment is minimized. At Trader Joe's organic foods and beverages are found in every corner of their stores, from the produce section to the freezers, the grocery aisle to the dairy case, the bread racks to the snack shelves. Trader Joe's works with suppliers around the world to create great-tasting, high quality, organic products that they can offer at excellent prices, every day. All of Trader Joe's organic products are certified by a third party agency and meet strict organic standards at every level. Trader Joe's stocks their stores with all kinds of options for healthy living. It’s also a driving force behind their decision that Trader Joe’s branded products be made without artificial colors, flavors or preservatives. Overall, Trader Joe’s has a very good selection of green items at a great price, with that said, it still cannot yet compete environmentally with the likes of Whole Foods. Patagonia, one of the greenest companies in the US, is an environmentally and socially responsible clothing manufacturer. Not only are their products made with recycled and low-impact materials, their offices and distribution network are completely nvironmentally friendly as well. Patagonia uses what they term the "common threads program" which offers to take-back its clothing at the end of its life so the fibers can be recycled. Patagonia has LEED certified offices and publishes a booklet on its environmental performance. "Our definition of quality includes a mandate for building products and working with processes that cause the least harm to the environment. We evaluate raw materials, invest in innovative technologies, rigorously police our waste and use a portion of our sales to support groups working to make a real difference. We acknowledge that the wild world we love best is disappearing. That is why those of us who work here share a strong commitment to protecting undomesticated lands and waters. We believe in using business to inspire solutions to the environmental crisis." 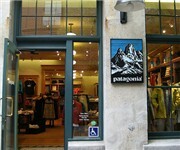 REI stores carry a wide range of organic and low impact clothing including the Patagonia brand. REI operates a number of LEED certified stores and its stores are as green as possible. In order to help the environment, REI gets a significant amount of it from renewable sources. REI has also worked with its suppliers and vendors to ensure efficient, eco-friendly transportation and minimized product packaging. REI has been a retail leader in green building design for decades, and several of our stores already harness the sun's energy through solar hot water heaters. Now, REI is deepening their commitment to solar power by installing photovoltaic panels — which convert the sun's power to electricity — on the roofs of more than 10 percent of our stores. 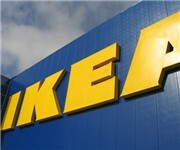 In the large retail world, Ikea is one of the most green eco conscious companies. Ikea makes sure its products are free of banned substances and are made in a responsible manner. Ikea has gone to great lengths to work with its suppliers that products are made in an environmentally friendly way. Ikea offers a comprehensive take-back program for packaging, CFLs, batteries, and other products and all its stores are built using USGBC guidelines. For many years, The Body Shop has constantly sought out wonderful natural ingredients from all four corners of the globe, and brings you products bursting with effectiveness to enhance your natural beauty. While doing all of this The Body Shop also strives to protect this beautiful planet and the people who depend on it — not because it's fashionable, but based on the belief that it's the only way to do business. The Body Shop pioneered the simple idea that "businesses have the power to do good," leading to the birth of the original, ethical cosmetics company. Origins Natural Resources's mission is to create high-performance natural skincare that is powered by nature and proven by science. Origins use potent plants, organic ingredients and 100% natural essential oils. Their long-standing commitment to protect the planet, its resources and all those who populate it is reaffirmed by Origins' earth and animal friendly practices, packaging and policies. Origins has been one of the most recognized natural cosmetic brands. 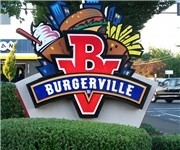 Burgerville serves up fresh, locally made foods including burgers made with organic antibiotic and hormone free beef. Burgerville is known for supporting local farmers and cattle ranches. Burgerville is committed to fresh, local and sustainable offerings. Initiatives such as Burgerville's corporate-wide purchase of wind power credits, recycling of used cooking oil into biodiesel and composting and recycling programs are based around the belief, and the experience, that it is good business to adopt practices that are good for the local community and environment. Chipotle believes its food should come packed with integrity, meaning the meats its serves are free range mostly antibiotic-free and vegetarian-fed as well. While not all their beans are organic yet, the percentage is rising quickly. ""Food With Integrity" isn't a marketing slogan. It's not a product line of natural and organic foods. And it's not a corporate initiative that will ever be finished or set aside to make room for other priorities. It's a philosophy that we can always do better in terms of the food we buy. And when we say better, we mean better in every sense of the word- better tasting, coming from better sources, better for the environment, better for the animals, and better for the farmers who raise the animals and grow the produce." Le Pain Quotidien sources organic ingredients as to not only build lasting and meaningful partnerships with organic farmers, but also to ensure their ingredients are of the highest quality. This philosophy influences every part of the way they do business, from the food they serve to the design of their stores to the materials they use. 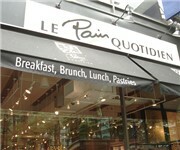 Le Pain Quotidien uses reclaimed wood and recycled Gypsum in construction, energy-efficient lamps, and environmentally friendly cleaning supplies and packaging. Pizza Fusion leads a niche market by combining an versatile organic menu with an environmental business approach in a chic fast casual environments. Pizza Fusion uses a fleet of hybrid cars for pizza delivery, buys wind credits, uses eco-friendly cleaning supplies and serves its food in a corn based biodegradable plastic. Pizza Fusion serves a mix of gourmet pizzas, salads, focaccia sandwiches, and more, untainted by artificial additives including sweeteners, pesticides, antibiotics, preservatives and hormones. All Pizza Fusion restaurants are LEED-certified. Pizza Fusion's mission is to uphold the highest level of integrity in all they do, from the quality and origin of their food to the care for the health of the environment. When you walk into a Pizza Fusion, you can expect a superior experience because everything, from the quality of their food to the way they do business, has been designed in the best interest of the environment.